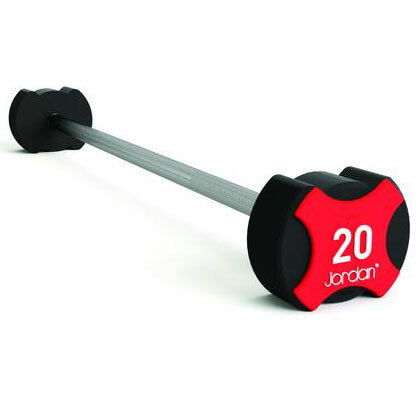 Jordan Ignite Urethane Barbells feature our unique and stylish anti-roll, registered design, complementing our Ignite Urethane Dumbbells. Ideal for explosive exercises like power cleans and snatches, these durable, commercial quality barbells let you lift heavy and comfortably, whether at home or in the gym. Made from cast iron with black urethane, anti-roll textured edges.